The top four makers of luxury bags and watches could wind up with 12 bln euros of net cash by 2020. If they gear up to manageable levels, they’d have a 40 bln euro war chest. So far, so good – except investors might start to complain if it’s not used for M&A or returned to them. The logo of Louis Vuitton is seen on a handbag at a Louis Vuitton store in Bordeaux, southwestern France, October 4, 2016. Picture taken October 4, 2016. 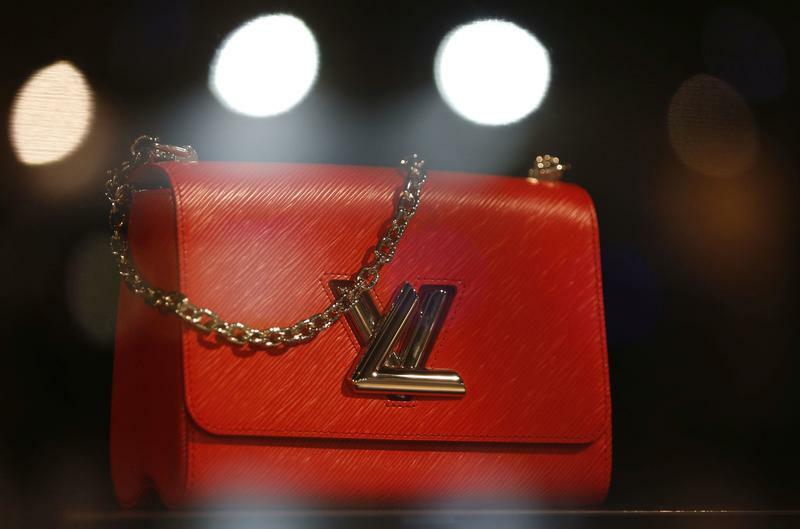 LVMH said on Jan. 29 like-for-like sales rose 9 percent to 13.7 billion euros in the fourth quarter of 2018. The French luxury goods giant proposed a dividend of 6 euros per share, up 20 percent from the previous year. The 131 billion euro owner of fashion brand Givenchy and champagne label Moët & Chandon lowered its net financial debt to 5.5 billion euros at the end of December from 7.2 billion the year before. Its free cash flow rose to 5.5 billion euros from 4.7 billion euros. Italian luxury leather goods maker Salvatore Ferragamo on Jan. 29 reported a 1.4 percent fall in 2018 same-store sales at constant exchange rates. LVMH shares rose 6.1 percent to 275.7 euros as of 0900 GMT on Jan. 30.